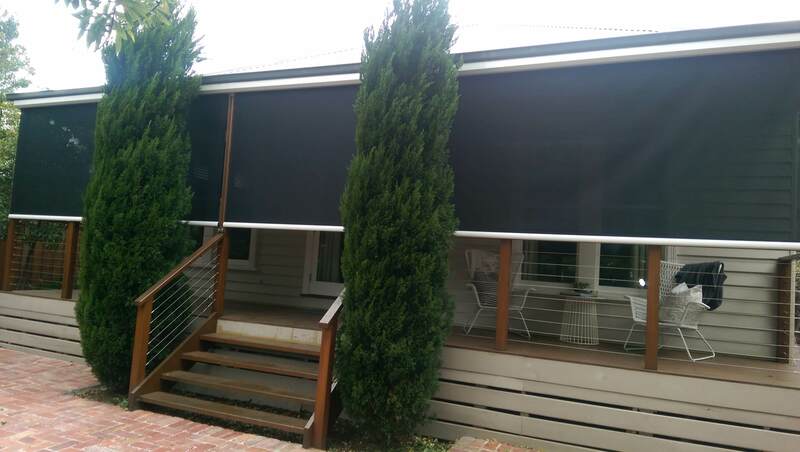 Vertiscreens are an exterior vertical blind sun protection system featuring a modern slimline look. 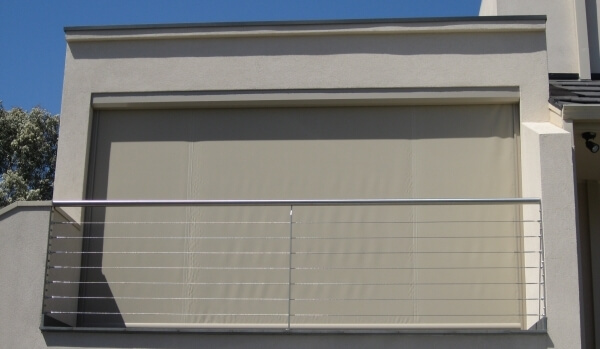 The Vertiscreen range has been designed to keep the sun off the glass areas of your windows and thus reduce the heat in your office or home. Depending in the choice of fabric, Vertiscreens can provide a panoramic view of your garden with see through fabrics, or a near block-out situation with room darkening qualities. 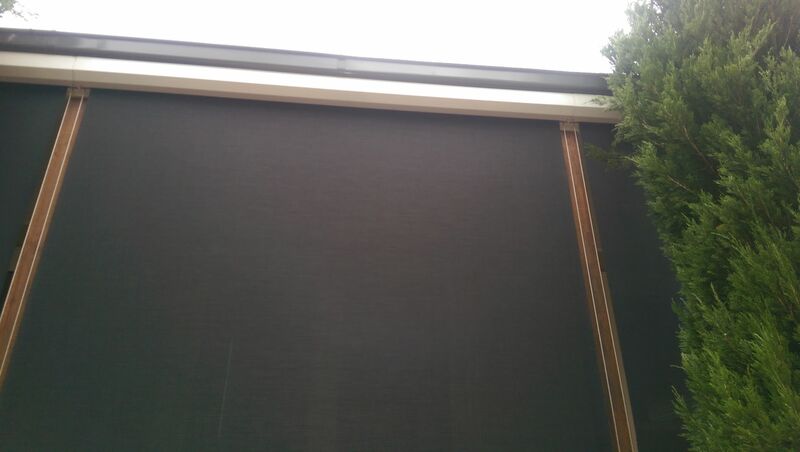 Choosing the right fabric for your circumstances, will ensure the Vertiscreen models meet your expectations. 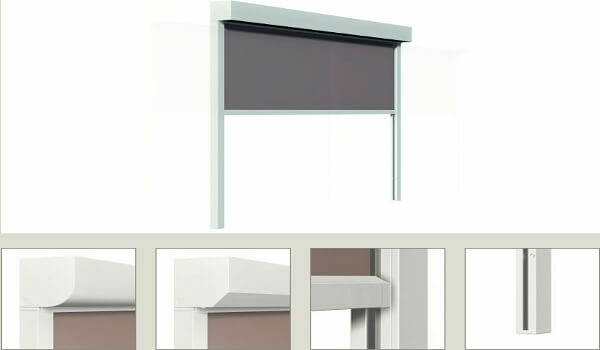 Where sun protection is required for windows and a modern discreet profile is desired or limited mounting space is available. Ideal for hospitality, commercial and domestic uses. 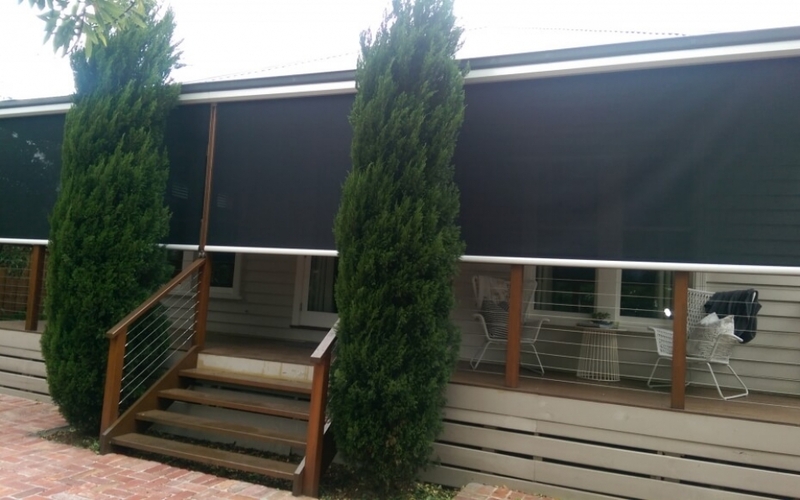 Vertiscreens range of products has been specifically designed for Australian conditions, offering the very best in style, privacy and sun protection. 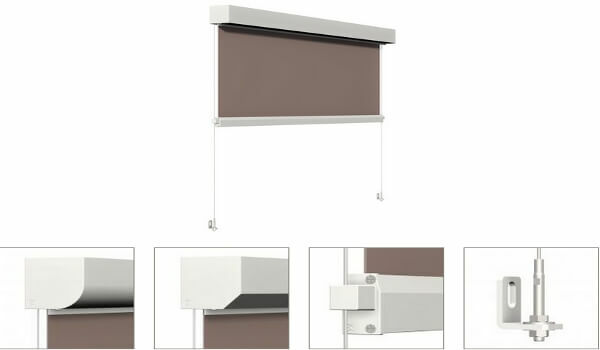 The stylish, aluminium powder-coated head-box offers grace and style to complement every home or office. The slim line design is offered in two sizes – 95mm by 95mm and a larger head-box measuring 125mm by 125mm, for longer drops only. 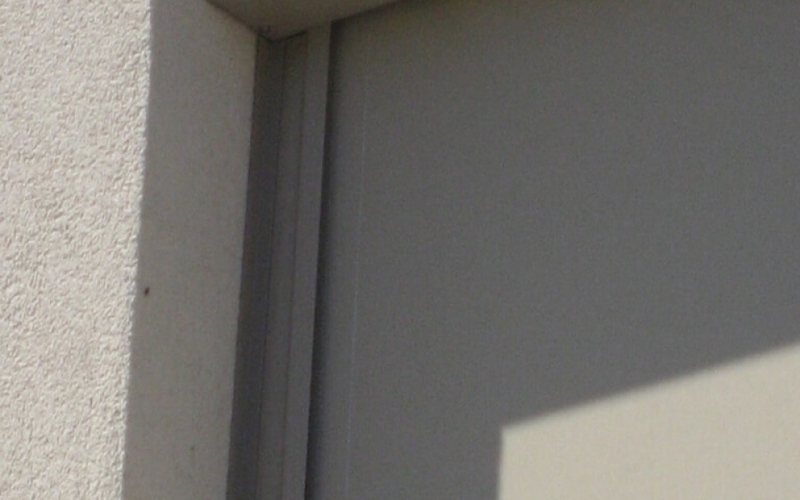 Can have side channels for greater light blockout or stainless steel guides for a more discreet look. 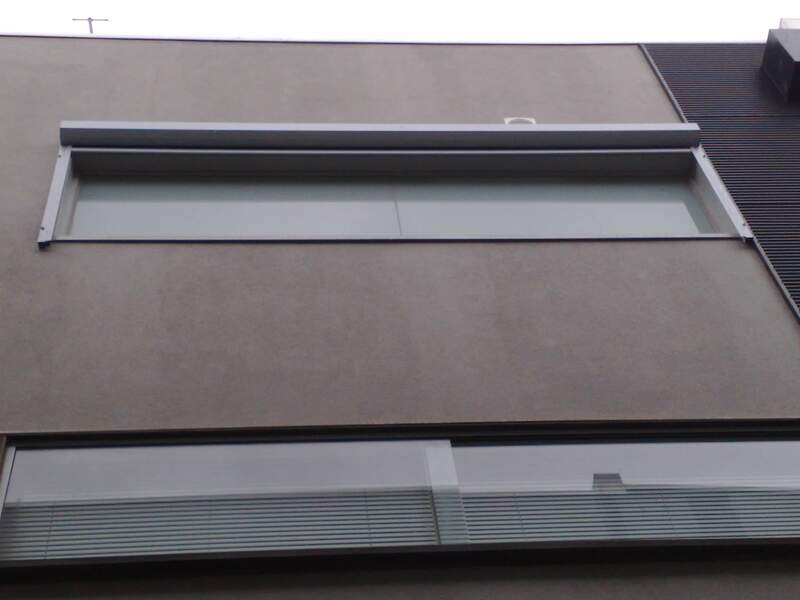 Widths of up to 5400mm and drops of 3400mm are achievable. They can be manually operated or motorised. 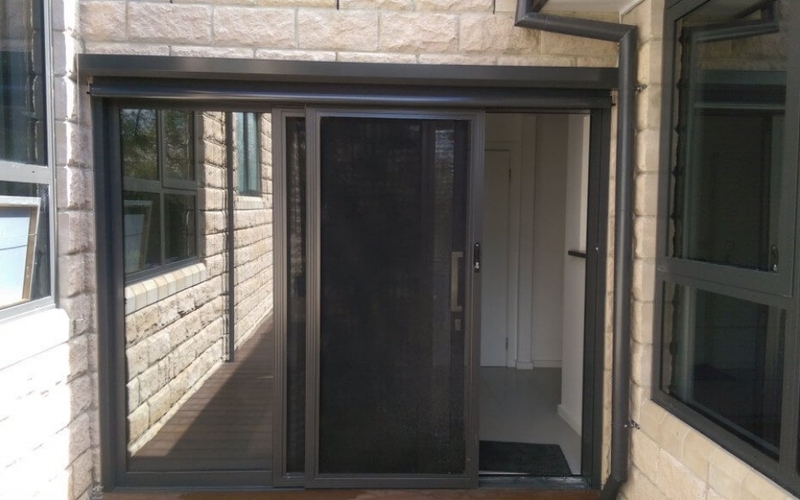 Vertiscreens are made from Australian produced aluminium extrusions which are powder-coated for extra protection. All the fittings are made from 316 grade stainless steel. We only use the German Becker brand of motors or the french Somfy ones. 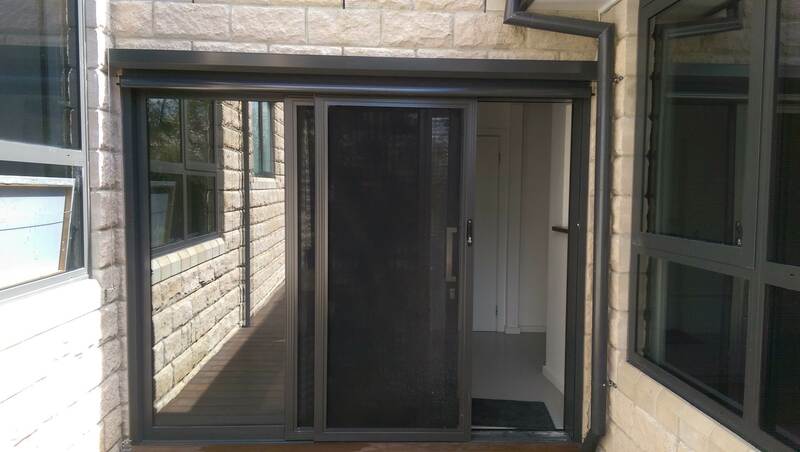 Made here in Melbourne to your specific needs and backed with a 5 year warranty. Any Dulux powder coat colour for the box, rail and tracks. 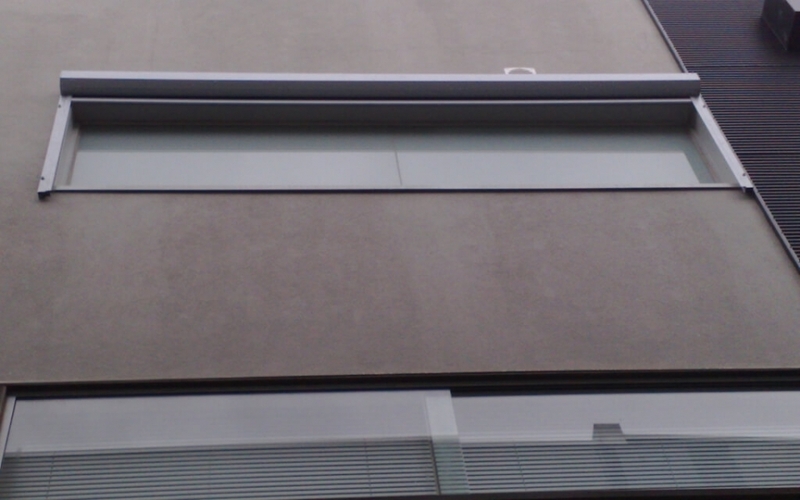 Side channels or stainless wire guides. 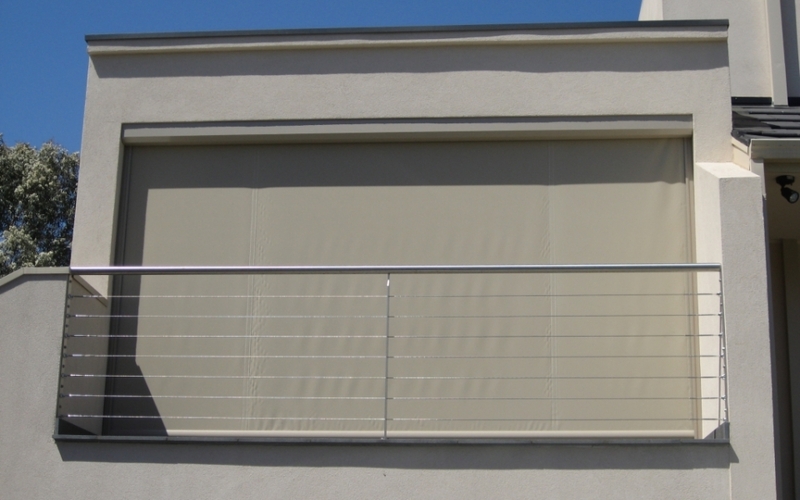 Choice of leading fabrics and colours as well as Ferrari fabrics for greater drops on the 95mm profile. Full motorisation including timers and sun sensors.